Yesterday was the first day of the CTIA Wireless 2012, an event that showcases all sorts of wireless technology, from what's recently arrived on the market to what's just around the corner. As usual, there's a lot going on in the wireless industry, from apps that protect your privacy to innovations in call quality and, of course, great new phones. We scoured the show floor to pick out the best phones, accessories, apps and services. 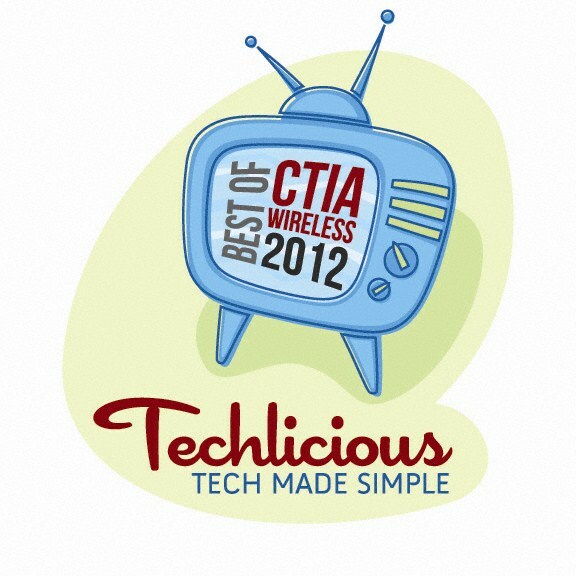 And these eleven products made our list for the Techlicious Best of CTIA Wireless Awards 2012. HTC launched a suite of fantastic Android phones recently, starting with the HTC One S for T-Mobile, then the HTC One X for AT&T and, most recently, the HTC EVO 4G LTE for Sprint. The phones all have wonderful cameras, great battery life, Gorilla Glass and super-slim lightweight designs. 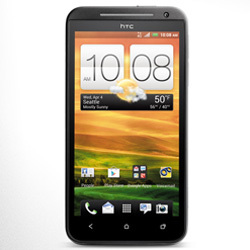 All were contenders, but the HTC EVO 4G LTE gets our nod for best phone for its integration of HD Voice, a new technology being rolled out on Sprint's network that enhances call quality by enriching voice tones and reducing background noise. 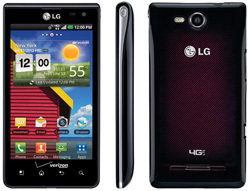 Price: $199 when it becomes available on Sprint on May 18, 2012. LTE speed, very good photos, excellent ergonomics, an $80 price tag—the LG Lucid may be aimed at the first-time smartphone buyer, but there’s plenty for anyone on a budget to like. The LG Lucid's great combo of features, design and price make it our pick for best budget-friendly phone. Price: $79.99 on Verizon with a new, two-year customer agreement. Or, you can purchase it from AmazonWireless for $0.01. Small (4.82" x 2.59" x 0.48"), light (4.4 ounces) and rugged, the Samsung Rugby Smart is the perfect phone for those that like to play hard. It can be submerged in one meter of water for up to 30 minutes, dropped from 2 meters and everything else that goes with meeting the MIL-STD 810F military spec. 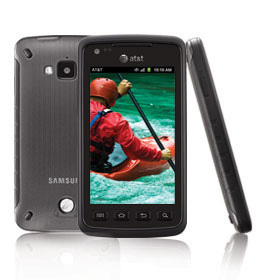 Plus, you get a 3.7-inch WVGA Super AMOLED display, a 5MP camera with HD video recording and a 1.4Ghz processor. Price: $99.99 on AT&T with a new, two-year customer agreement. Or, you can purchase it from AmazonWireless for $0.01. This is Moshi's first time at CTIA, and they've made a splash with their oragami-like take on the Apple iPad Smart Cover. The Moshi iGlaze Versacover folds in multiple directions to support the iPad horizontally, vertically or in typing mode, and also has a clear plastic back to protect the iPad's rear. Like the Apple Smart cover, the iGlaze Versacover has built-in magnets to automatically power on and off the display. But, the Versacover goes one step further with a magnet mount on the back to keep the front cover from flopping around when open. 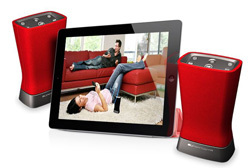 The Moshi iGlaze Versacover will be available in June/July for around $60. 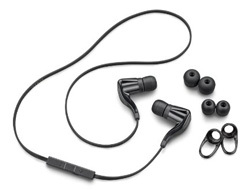 We’ve seen a lot of wireless stereo headphones, but the Plantronics BackBeat GO wireless earbuds are the first that are super light (13 grams), fit well, have good call quality and good battery life (4 hours talk/listening time). It all starts with the fit, though. And with three eartips and stabilizers, the BackBeat Go earbuds feel secure even though they are larger than standard headphones to accommodate the battery and Bluetooth transmitter. Bluetooth speakers have come in two varieties: small single-piece units with tinny sound or large and expensive components with big sound. SuperTooth delivers the best of both, with the Disco 2, a small 16-watt speaker that can be paired with a second Disco 2 to easily fill a room with stereo sound. You can also take the Disco 2 with you. 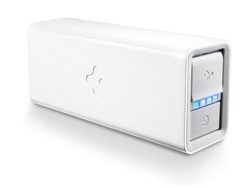 Its rechargeable battery delivers 4-10 hours of playback, depending on volume level. Price: $99 per speaker when it's available next month. Seniors can benefit from smartphones just as much as the younger generation. But the interface and countless number of apps can be overwhelming for those who grew up in a time when phones still had cords. The Doro Experience software succeeds at retaining the core functionality of Android devices, while making navigation a breeze, even for the most technically challenged. The simplified interface takes the place of stock Android, with fewer, larger icons and apps that have been pared down to key functions. There’s also a marketplace of dozens of apps, including one for easily accessing Facebook content. Family members or a friend can optionally use the Doro Experience Manager to manage the content and applications stored on the device, and can add meetings to the calendar, such as doctor’s appointments, remotely. Price: Approx. $65 for a two-year subscription when the it's available late this year. It's not just the fact that the Spigen Kuel f60Q's whopping 6000mAh battery can recharge an iPhone multiple times on a single charge that caught our attention. Nor that it delivers 5 volts at 2 amps, which means faster charging and compatibility with tablets. It's the fact that all that power is stashed in a tiny 3.78" x 1.61" x 1.14" housing. A true portable powerhouse. Plugging your phone in to charge when you get behind the wheel is a no-brainer. 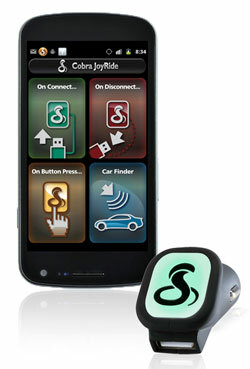 With the Cobra JoyRide and JoyRide app, plugging in your phone will cause your phone to reconfigure its settings for easy (and safe) use in the car. You can push a button on the charger to initiate phone calls, launch voice commands, share information about road hazards and police actions, pause and play music and even launch apps, like your navigation app. The JoyRide app can also save your car's location, should you have trouble finding your parking space. Looking for a new job and don't want your boss to know? Consulting a divorce attorney and haven't had the conversation with your spouse? Afraid your picture or videos will get out on the web if you lose your phone? There are any number of reasons why you might want to keep the information on your phone private. The NQ Mobile Vault for Android (free on Google Play) lets you hide your SMS messages, contacts, call logs, pictures and videos from prying eyes in a password-protected virtual "vault" on your phone. Upgrade to the premium version ($1.99 per month or $6.99 for six months) and the app will take a picture with the phone's front-facing camera if someone tries to access your Mobile Vault with the wrong password; let's you hide the app icon so no one knows about your private storage; and keeps an unlimited number of text messages (the free version is limited to 100). How many times have you had a hard time hearing the person on the other side during a call? Perhaps you were on a noisy street or couldn’t get the phone close to your ear because you were wearing a hat. 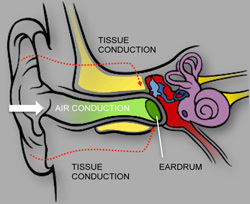 Kyocera’s Tissue-Conduction technology overcomes these challenges by conducting sound from the phone directly to your eardrums using the tissues of your head. Using a ceramic transducer where the speaker would normally be in your phone, Kyocera’s technology is able to transmit sound both through the air (as a standard speaker) and through tissue as vibrations. During our demo, we heard clear sound from Kyocera’s test device no matter where we held it on our head – even on the back of our skull. The sound can also be transmitted through some types of external products that may be covering your ears, such as helmets or headphones. Kyocera is exploring the technology for future devices. Wow! But what about the iPhone? I’m so jealous I wasn’t at the conference, you got a chance to see some really awesome stuff! Tissue-conducting technology? Amazing! Loved the app recommendations as well, but I’m a die-hard iPhone devotee. Did any apps stand out for Apple lovers? As a woodworker in a noisy environment, I have a definite need for earmuff hearing protectors. The ultimate set would include bluetooth, stereo radio (w/mps plug in), and mic. I understand Peltor has such a product, but it is too expensive for the average Joe. Geez, I think such a device is needed by workers in just about every industry where noise is involved. SafeApp, LLC wishes we could be there to demonstrate DO NOT DISTURB (Bluetooth) our next-generation distracted driving prevention App. The first and only Bluetooth activated App to actively managed your calls hands free, auto respond to incoming txt and calls all while you safely drive your car.